← Saturn and Jupiter have been opposite each other in the skies since September 2009. This calls you to break through repressive structures in your life and find freedom. The next Full Moon is March 19th 2011. Basically there will be earthquakes in your life if you are letting stuck situations chain you, or if you are taking wrong directions that are not for your life-essence. The Full Moon of March 19th is pretty awesome energy. Is it to be Angel of Revolution Now! Or is it to be the Harbinger of Stuckness and failure for you? Look for that Brilliant Solution which may be at hand. Exactly how this Full Moon will affect you will, of course depend, on your individual birth chart. Find New Direction now. A Brilliant Solution may be at hand. Rotten Rule breaks now! Restriction shatters. Outworn Structures Fall. Earthquakes. Tsunami. This is a time of Revolution. But beware driven behaviour. Beware obsession, heartlessness, impatience or lack of sympathy, compassion or gentleness. Basically there will be earthquakes in your life if you are letting stuck situations that are wrong for your essence build up. But the energy of this Uranus-tinged Full Moon is a hard tight-rope to walk easily or well. Energy build-up: Remember, this energy of the Full Moon always begins to build from the New Moon that starts off the Moon’s phase that the Full Moon is the culmination point of. The New Moon which started this cycle was on 4th March. So you and the rest of the world will have been feeling and experiencing the events. So, what are the different factors which go to make up the energy of this Moon cycle and this Full Moon? Factor #1: It’s a Full Moon: Basically, in western astrology: the Moon is at 28 Virgo opposite the Sun which is at 28 Pisces. The Sun and the Moon are always opposite each other at Full Moon. Factor #2: The Sun is conjunct Uranus: And the really big thing to note is that ‘Sun is conjunct Uranus’ in the heavens on the day of the Full Moon. The Moon is therefore, is, of course, opposition Uranus. The energy of ‘Moon opposition Uranus’ is like the ‘struck tower’ card in the Tarot. Uranus is a wired energy of revolutionary change. Please do note that in Revolution, people can get hurt. The energy of Uranus is cranky and wired and impatient. It is not at all kind to flesh and blood and feelings. Do you know anyone who has the Sun conjunct Uranus in their birth chart? They can be forward-thinking and revolutionary, but they are surely impatient, irritable, wired and awkward-squad! Factor 3#: Saturn is opposition Jupiter: At the same time, as I said in my earlier blog posted on February 28th, Saturn is opposition Jupiter in the heavens. This energy, too, is utterly immense. It becomes exact at the end of this month of March. This energy can be the Liberator. It gives agonising call to break through and break out of restrictions. Indeed, I do know people who have been helped by my Blog to leave restrictive situations. The Blog gave them insight into what they sort of vaguely felt, and crystallised them into action. It is also a Boom-Bust energy and the world markets fluctuate with the Jupiter – Saturn cycle. Factor #4: The Moon is Exceptionally Close to the Earth: This closing of the Moon to the Earth is the cause of the tragedy of the Japanese Earthquake. Please do note that at the time of the last eclipse Full Moon there was an earthquake in the Ilkley area on January 4th. Basically there will be earthquakes in your life if you are letting stuck situations that are wrong for your essence build up. The present tragic Japanese earthquake is of course immensely greater. But the principle is the same. 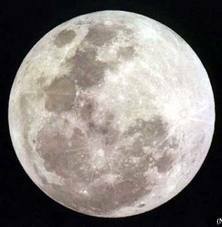 The Moon is closer, so this means that stuck but unstable tectonic crusts in the Earth had to give! Earth and Moon being closer is sometimes known as ‘Super Moon’. The last time such an extreme ‘super moon’ happened was 10th January, 2005, and then too there was a terrible and horrific natural disaster. Two weeks before the Super Moon event, there was devastating pacific tsunami around Indonesia which killed many thousands. It’s because the tectonic plates in the Pacific Rim are unstable so they shifted again: this time by 18 metres, over an epicentre measuring 100 miles by 250 miles. Remember: the same energy is offering itself to all our lives. But exactly how each of us will be affected depends on how the planets in the chart of the March 19th Full Moon interrelate with the positions of the planets in our own individual birth chart. We live in very transformative times. Factor #5: We are coming up to June 2011 when the Nodes of the Moon change Signs and there is a challenging Eclipse on June 15th: What is happening to us, now, is part of a somewhat longer term unfolding going on in all our lives. As I said in my Blog dated February 5th, we do need to be very careful and reflective about what we are doing with our lives as we approach the Full Moon of June 15th. Basically this is also especially because the North Node of the Moon moves into the Vedic (sidereal) sign of Scorpio on June 6th and Saturn is ‘on station in mid June, and when a planet’s apparent motion in the heavens is stationary, it has huge effect!!! Factor #6: The New Moon which started this cycle off on March 4th was in a Fixed Sign in Vedic Astrology. The New Moon which started off this 28-day cycle of which the Full Moon is centre was in Vedic or sidereal Aquarius. Aquarius is a Fixed Sign, so fixed energies are very prone to shatter when they become inappropriate. And the specific energy of Aquarius is about our thought structures and our big social systems and assumptions (It’s ruled by Saturn). HOW WILL IT AFFECT ME? The problem is, of course: do we actually know which direction Revolutionary Change is taking each of us individually???? Are we being tumbled out into our future in the dark????? In understanding our lives at this time, the key thing is to understand how the positions of the planets in your own birth charts relate to the positions of the planets in the heavens now (and in the year ahead). This is the insight-gift of astrology. For example, Sun and Uranus at the time of this coming Full Moon exactly square Uranus in my birth chart. For example when the North Node entered sidereal Scorpio last (eighteen years ago) a huge new spiritual journey started in my life. For example, when the June 15th Full Moon happens, it will be exactly conjunct Jupiter in my birth chart – BUT HOW WILL IT AFFECT YOU????? I will be pleased to offer you interpretation of your birth chart and of your predictive astrology. Get in touch. I can’t generalise any further in this Blog. Astrology should be individualised. You don’t get much of real value reading the journalistic Sun Sign Predictions in the press. At this time of this approaching Full Moon, Astrology gives you an idea of what needs to ‘give’ in your life. It gives you an idea of where your future is taking you this year. Astrology helps you with insight. Astrology helps us all ‘knock on the door’ – the door to our individual future. Astrology gives us wider perspective of understanding than we will get if we simply stay dug in our hole! It also tells us the timing we can expect. This entry was posted in Astrology Reading and tagged Full Moon 19 March 2011. Japan Earthquake, Tsunami. Bookmark the permalink.